My name is Nash Tarique, I am a rising senior currently attending Pelham Memorial High School in Westchester New York, and I was introduced to Blue-Stamp Engineering online while looking for an engineering summer program. My starter project was the TV-B-Gone and my main project was the Raspberry Pi Camera. Bluestamp engineering has taught me how to work independently and has showed me the importance of doing research online in order to learn how to fix and build different types of projects. 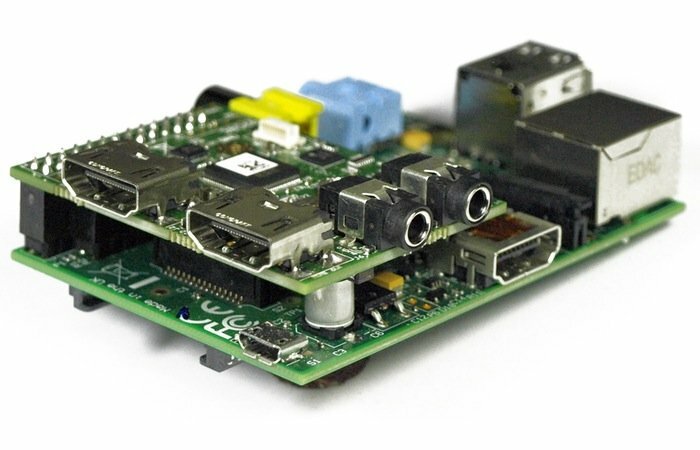 The Raspberry Pi Camera is a type of camera that is connected to a Raspberry Pi. The Raspberry Pi is a mini computer that runs on python that is plugged into a computer monitor, mouse, and a keyboard. The main part of this project that I thought was beneficial to my learning experience at Blue-stamp, was figuring out how to fix the camera on my own by getting out of my comfort zone in order to do a lot of research, thinking ahead, and learning how to work independently. However, my instructors helped a lot when I struggled especially when the 4-inch LCD touchscreen wasn’t working even though I re-calibrated it and rebooted three times. So we bought a new 2.8-inch touchscreen that took a long time to start working, and I ended up calibrating the screen about three times, rebooting it twice, installing the camera software a couple of more times, and changing certain commands in the terminal application. My instructors also ended up enabling mouse control in the python script since the touchscreen wasn’t working so well. I was then able to properly control the camera. The completed device itself has a capacitive touch screen display with similar features to a regular computer and also contains an infrared camera. This capacitive touchscreen reduces the visible distance between the user’s finger and what the user is touching on the screen, creating a more direct contact with the content displayed and enabling taps and gestures to be more responsive. The touchscreen’s display relies on the electrical properties of a human body to detect when and where on a display the user touches since its really sensitive. The capacitive touchscreen is controlled by light touches of a finger and it works by responding to conductive properties of an object which explains why it doesn’t require the use of pressure. This type of touchscreen has an alternating current that is a specific amount of charge to correspond with the human body. Behind every electrode on a touchscreen lies an embedded micro-controller that has a clock speed of nanoseconds, this enables a fast response for modern smartphones to have smooth interaction with the human touch. Furthermore, the device has a set of specific commands that it runs in order to perform actions such as: open up applications, function when the screen is touched, taking pictures, and connecting to a keyboard and mouse. In addition, when I started this project the steps that I had to follow were: 1)Install a driver onto the system 2)Calibrating the screen by following the guide on the wave-share website which shows you the commands that are supposed to be entered and explains how to expand the file-system. 3)Installing a camera script and lastly,4) Reboot the Raspberry Pi. A TV-B-Gone Kit is a technological remote control device. The main purpose of this project is to learn how to solder and how remote controls or parts of an electronic device or gadget are designed. The main aspect of this device is to control tvs. You should be closer or further from the TV with this device. You should be 30m further from the TV. This device contains 2AA batteries and 4 high power output IR LED’s to allow for much longer. The list of parts you need is IC1, IC1’, XTL 1, capacitor C2, C1, R1,R2,R5 (Known as the generic resistors), all the LED’s, PNP transistors, NPN transistors. ICSP, BATT, the switch , and the printed circuit board. Build Plan: I followed the project description from the adafruit website that gives you instructions based on how to build the TV-B-Gone Kit in chronological order, part by part. My favorite part of working on the TV-B-Gone Kit was learning about parts of this device that are also located in a computer. My main instructors encouraged me to do research and learn how all the parts function and what impact they have in any type of electronic device. This enabled me to go beyond my limits and it really taught me how to learn things independently. This policy of figuring how to fix devices on my own by doing a lot of research and discussing how to come up with solutions has encouraged me to apply it in education since I am going to be taking computer science classes as a senior and going to research centers and labs for computer engineering in college. However, the most challenging aspect of this project was being able to stay patient when doing research to find solutions to fix problems. Unfortunately, I wasn’t able to stay patient eventually my main instructors decided to provide me with all the help I needed. The LED is broken down into two parts: for indication and illumination. The purpose of the LED indicator is to prove that power is plugged in or that the battery is charged. On the other hand, the LED used for illumination is used to light up something. Its main purpose is to indicate that the device is powered up or working. The IR LEDs send a signal as the output to turn on the television once it has received an amplified signal from the NPN transistors. NPN transistors: A transistor is a switch that enables or disables the flow of electricity. Transistors are used in digital circuits as electronic switches. In a transistor d in a dedicated input device. It takes in input for the device it is controlling and sends signals to different components of the device. This mainly applies to the TV-B-Gone Kit because the TV takes input from TV-B-Gone kit that’s the remote control and displays the output on the TV Screen. The NPN transistor is also used to amplify the power of a microcontroller pin. The transistor is being used an amplifier to increase current in the TV-B-gone kit. Micro-controller: Locates an input, creates a signal from it and sends it as an output to the NPN transistors that amplify the signal and transfer it to the IR LEDs. Generic Resistors: The main purpose of a resistor is to limit or regulate the movement of current throughout the electrical circuit. Printed Circuit Board- It supports and electrically connects all the electrical components in a device by the use of conductive tracks and pads which make everything work together at the same time. In other words, it is also known as the board base for supporting and wiring components that are placed directly onto the board. Electrical components such as Resistors, Capacitors, LEDs, microcontroller etc…, are soldered onto to the board. Electrolytic Capacitor;A component used to store electrical energy temporarily in an electrical field. This explains why its role as an extra battery lasts only for a second. They have a high capacitance(ability to store electrical energy). Ceramic Capacitor- Main purpose of the Ceramic Capacitor is for the ceramic material acts as a dielectric(transmitting electricity without conduction). The TV B Gone Kit; In this device, the printed circuit board is the main tool that connects all the electrical components together which enables the device to work. The main purpose of the resistors is to control or limit the level of current that’s flowing throughout the system once the switch button is pressed. The Electrolytic capacitor and the ceramic capacitor is to store electrical energy. The Ceramic Oscillator’s main duty is to keep track of the Micro-controller and ensure that it’s performing its activities on time efficiently. The Micro-controller takes in an input once the switch is pressed, creates a signal based on the pre-programmed codes it has and is able to send it to the NPN transistor that’s strengthened and amplify the signal since its weak and goes to the LEDs that send the signal as an output to turn the TV. Congratulations for a job well done. This is truly a major achievement to your credit. Keep it up, Tarique! We are all very proud of you. So proud Nash for the good project and determination in you. Please stay focused and the sky will be the limit. Well done Nash Tarique! You have done an amazing job working to fix Raspberry Pi Camera. I believe BlueStamp Engineering offers students a platform that amplifies their voice and gives them a reason to practice creating innovative ideas. The result, shows just by the amount of work you have accomplished in such a limited time. However this is not the only happy consequence, you have also hone your ability to critically reflect and express your own thoughts and creativity . I believe this project was the most effective tool I have seen used to inspire our future innovators. Great job!!! Having a great interest in Computer and the evolving technology, I was glad to learn of a young person such as Mr. Nash Tarique, who did not waste his summertime by finding an interest in something that was both educational and enlightening. I have seen several topics on the Raspberry PI mini Computer in many issues of Maximum PC magazine, in the last year and a half, which I would recommend that he checks out http://www.pcgamer.com/five-cool-raspberry-pi-projects/ (Maximum PC has joint with PC-Gamer to offer better content and more in-depth knowledge on Technology). Nash keep up the good work as it will serve you well in College and in securing a future career that is sure to be fulfilling. Wishing you all the best.